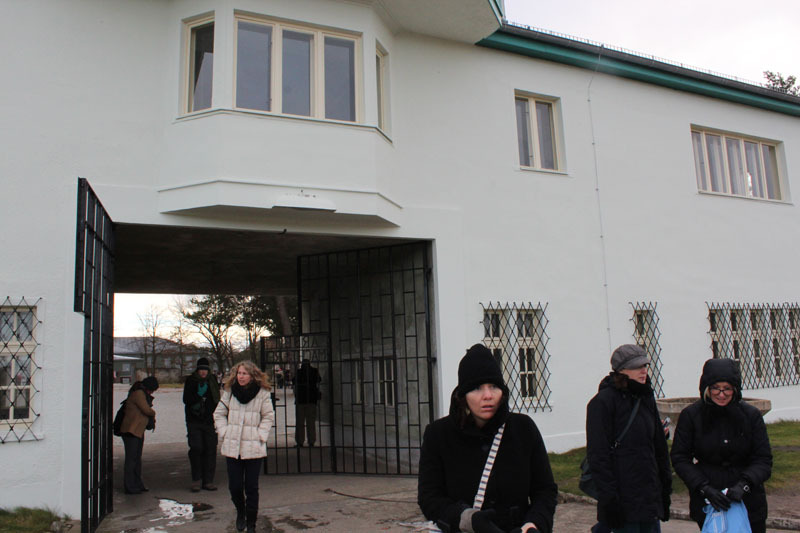 Study Trip for Social Studies Teachers 2013 - Atlantik-Brücke e.V. 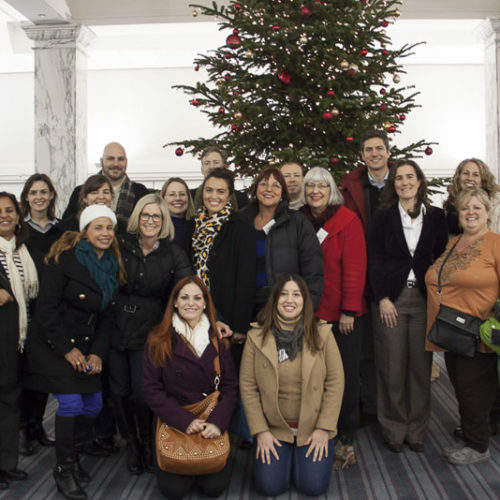 From November 30 to December 8, 2013, fifteen teachers from Southern California participated in a study trip through Germany at the invitation of Atlantik-Brücke. The group visited Hamburg, Berlin, and Leipzig. 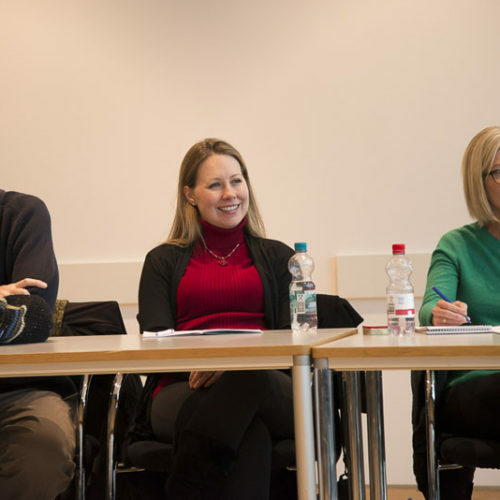 Every year the Atlantik-Brücke invites a group of American social studies, German, and history teachers to participate in a week-long study trip to Germany. 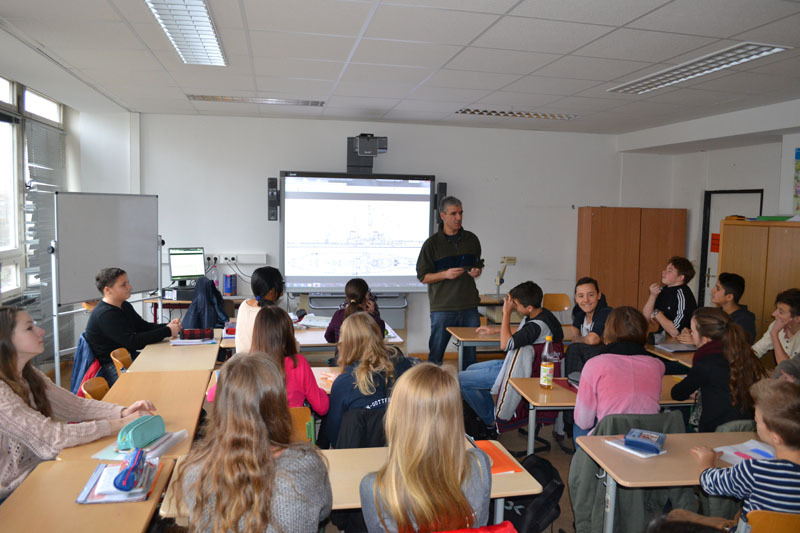 The program is one of Atlantik-Brücke’s oldest, and it allows teachers from different parts of the country to learn more about modern Germany. 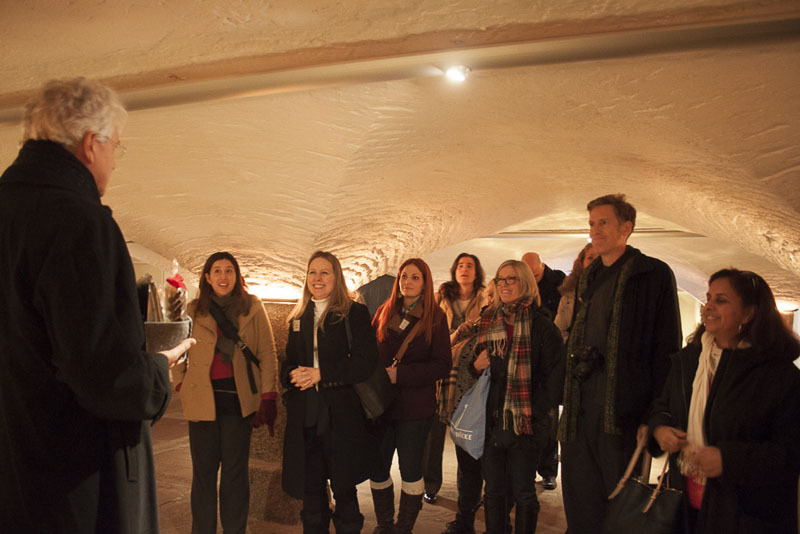 The study trips are very comprehensive: the teachers visit German schools, learn about German companies, and speak with leaders from politics, the media, and culture. 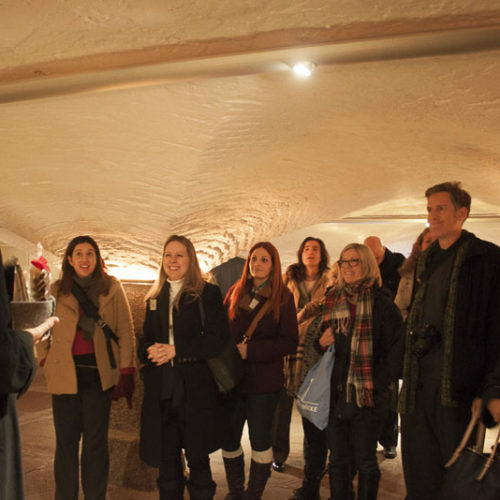 The teachers bring their experiences and insights back to their classrooms in order to provide their students with a vivid picture of Germany. An integral part of the trip is the connections that are enabled through Atlantik-Brücke’s network. Our members generously open their doors to the teachers and provide intimate atmospheres for open exchanges with high-ranking politicians. 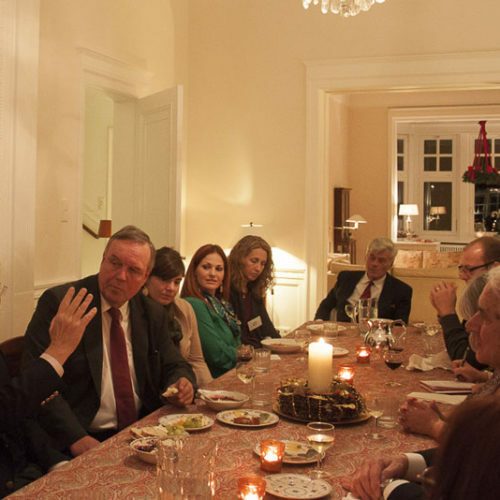 This year, Atlantik-Brücke member Ulrich Kissing invited the teachers to his home for an evening discussion with Hans-Ulrich Klose, the former Coordinator for Transatlantic Relations and Chairman of the USA Parliamentary Group in the Bundestag. 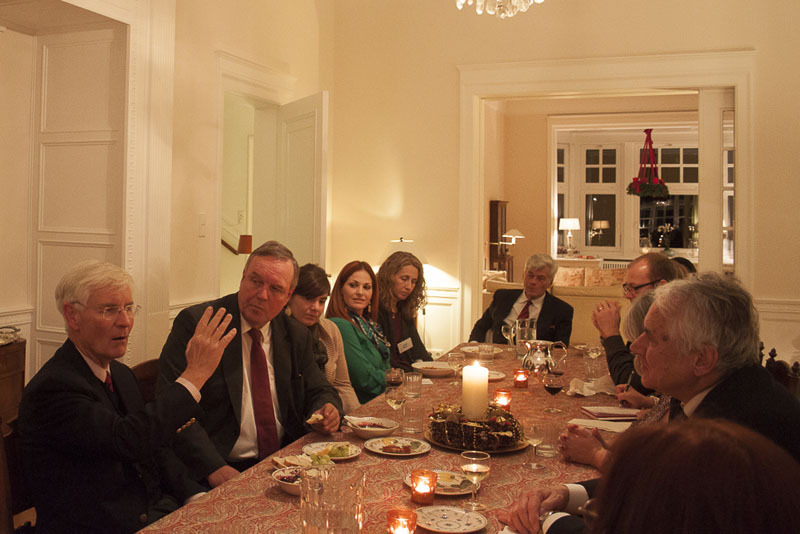 Another member, Christian Krienke, invited the participants to join him for a private dinner with the former Defense Minister Volker Rühe to discuss the German-American friendship and the future of transatlantic relations. 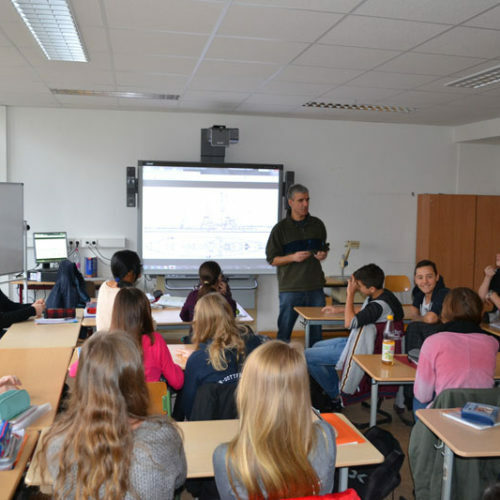 One of the core elements of the exchange for American teachers is the introduction to the German school system which is supported through visits to different types of schools. 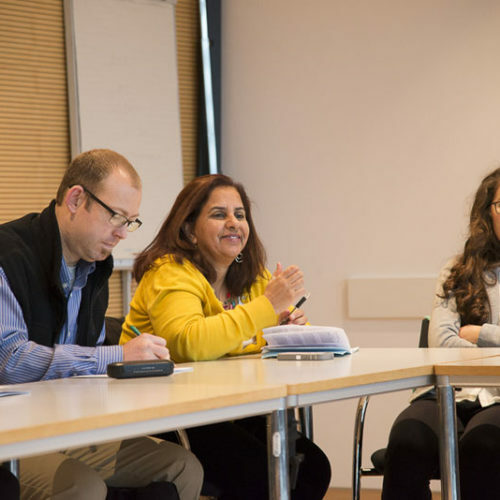 Last year, the teachers visited the Hamburger Stadtteilschule Finkenwerder, which focuses on integrative teaching methods in socio-economic and ethnically diverse classrooms. 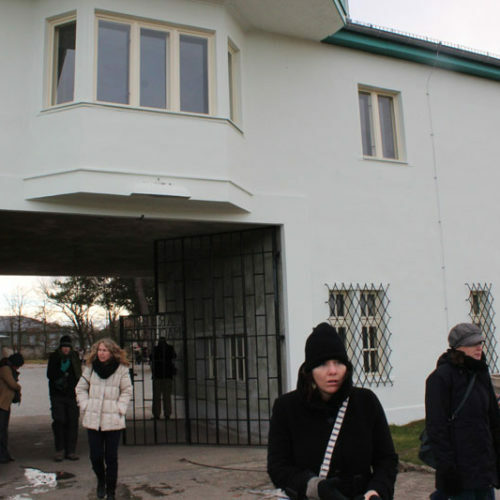 At the Berlin Herder-Gymnasium, the emphasis is on bilingual classes and the promotion of student exchanges. The visits to the German classrooms allowed the teachers to get to know their German counterparts and have discussions with the students. The participants were also able to observe the different teaching methods and compare them with their own. 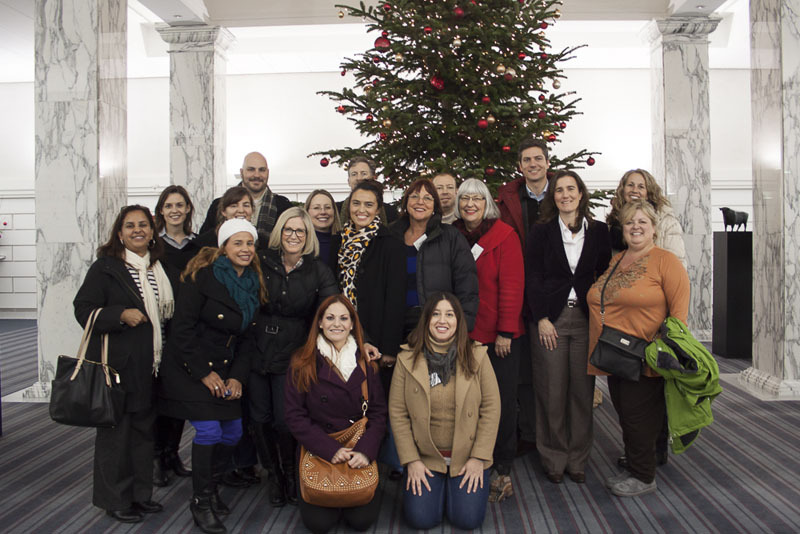 In Leipzig, the teachers visited a Berufsschule (technical training school) which is part of the duales Ausbildungssystem (dual education system) which does not exist in the United States. Satinder Hawkins from Milikan High School in Long Beach, CA summarized her experiences, “I loved learning about the dual education system in Germany. The way that workers of all kinds are honored and trained with the inclusion of communities and business partners goes a long way in explaining Germany’s economic strength.” Furthermore, the teachers were able to see trainee students in action at Airbus Operations GmbH in Hamburg. 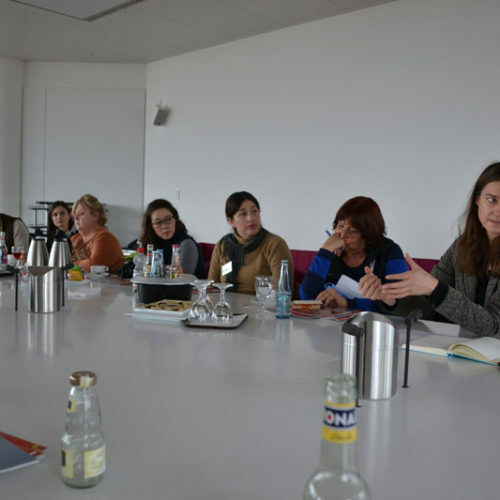 The participants also visited the offices of SPIEGEL, a prominent news magazine, and met with Cordula Meyer, the Deputy Editor in Chief of the German Desk. 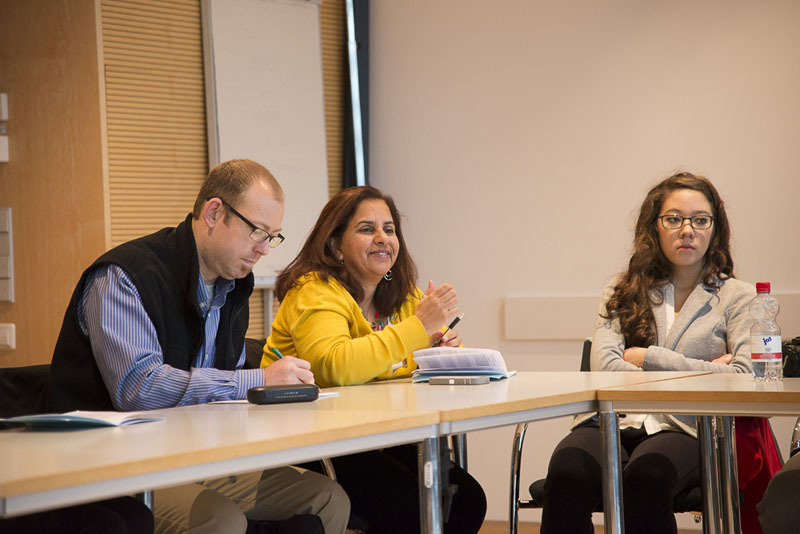 The group discussed a wide range of current events in Germany from the parliamentary elections to the energy transformation to the percentage of women in leadership positions. 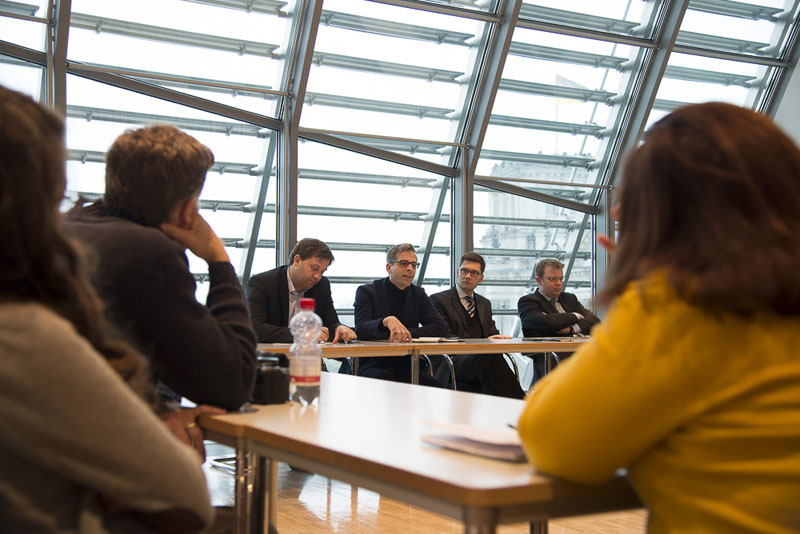 It was important to the teachers to discuss the NSA revelations, which they were able to do in a lunch meeting with Journalist and Moderator Ingo Zamperoni. 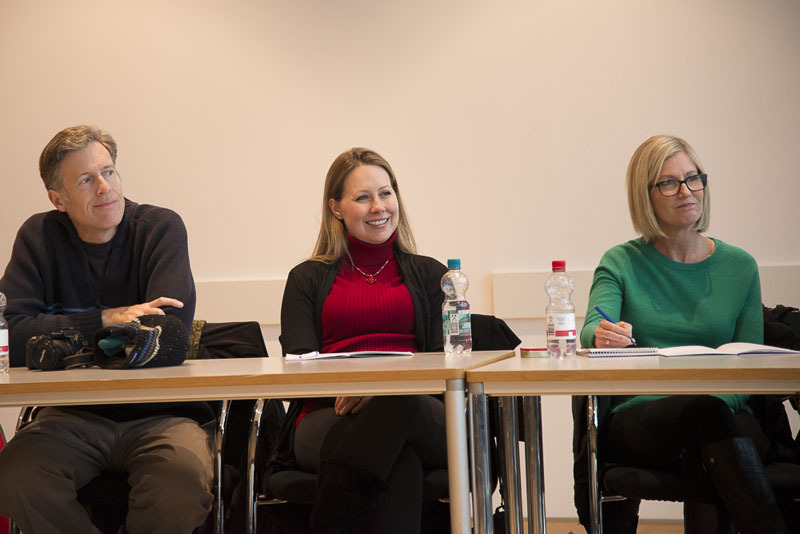 These meetings provided them with a thorough overview of the German and American media landscape and the different communication formats. 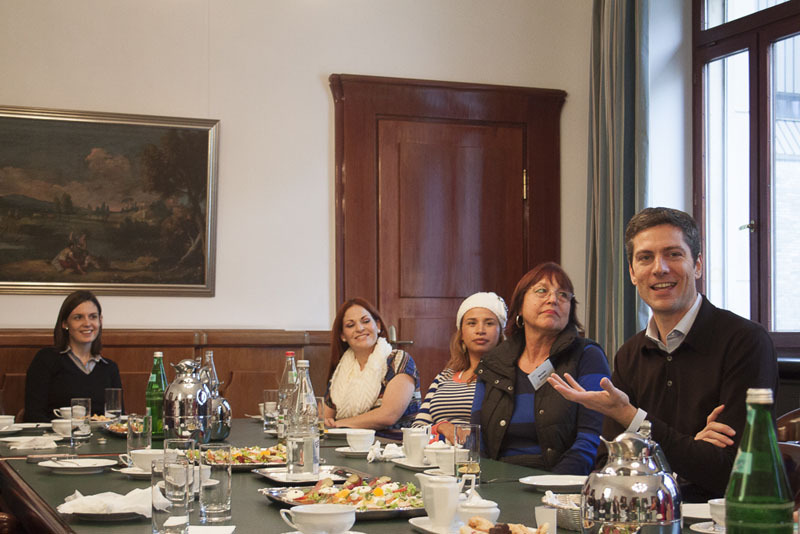 The teachers were also able to gain insights into the role of the church in Germany through a discussion with Pastor Alexander Röder in the Hamburg St. Michel Church. 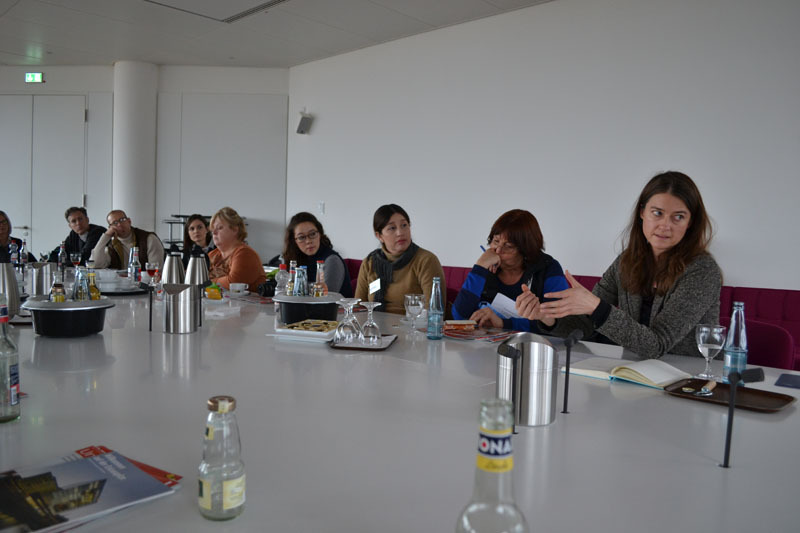 In Berlin, the teachers visited the offices of the Insitut der Deutschen Wirtschaft Köln (Cologne Institute for Economic Research). The speech given by the Deputy Director Dr. Hans-Peter Fröhlich, imparted the group with a summary of the current economic challenges that Germany and Europe are facing. 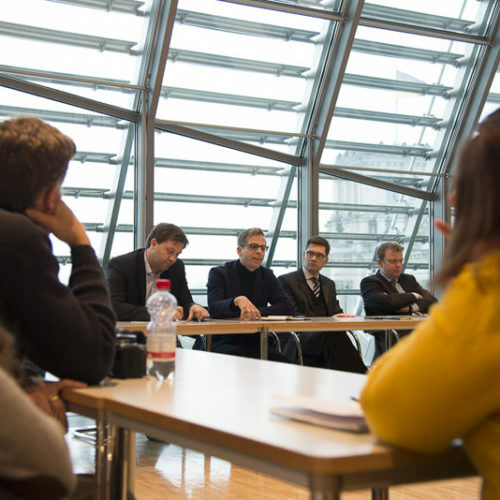 Afterwards, the group met with several members of the German Bundestag: Reinhard Brandl (CSU), Christian Hirte (CDU), Lars Klingbeil (SPD), und Stefan Liebich (Die Linke). 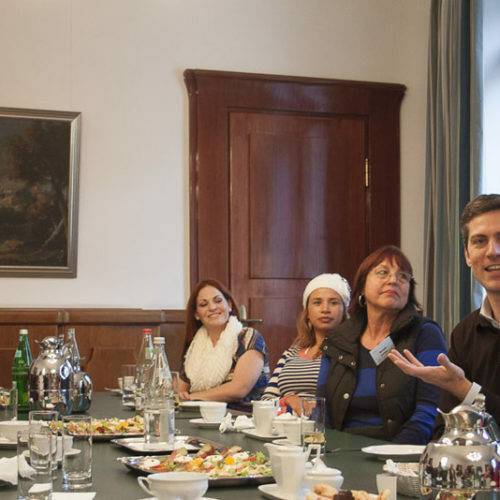 The representatives spoke with the teachers about the results of the elections, the coalition negotiations, and the political system in Germany.